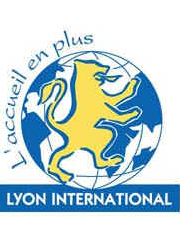 For over 30 years, the Lyon International Association has welcomed foreign guests in Lyon. These guests can be students from abroad or professional working in Lyon. The main activity of the association is to offer the possibility for international guests to share a meal in a French family. The host family welcomes you for a dinner. The association also organizes annual meetings and events to enable international guests and french families to meet. The association is always looking for new families ready to welcome from time to time people from abroad. About 1,000 meals are organized by the Association each year. You are a foreigner and want to enjoy the services of Lyon International ? You are a French family and you volunteer to host an international student from time to time ?